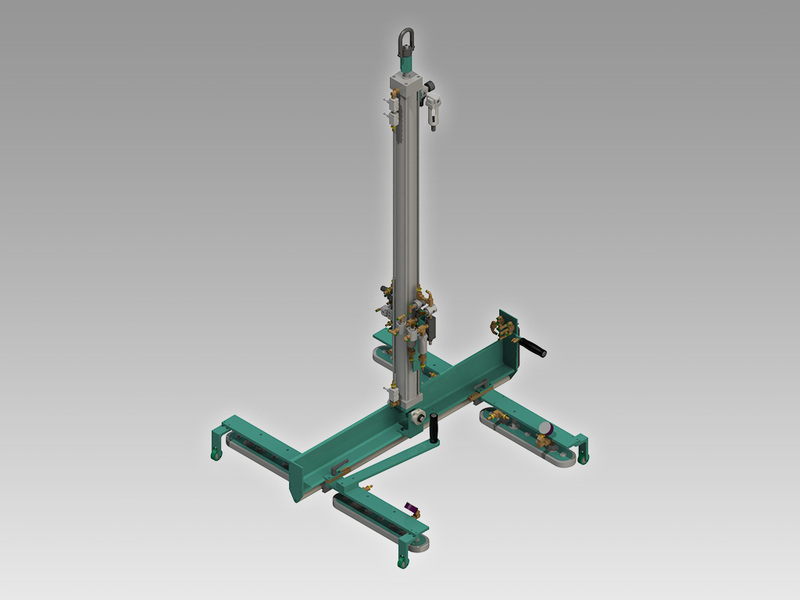 The SL-2 Straight Lift lifts doors and smooth sheet materials weighing up to 125 lbs. The SL-2 uses oblong vacuum cups and a rapid width adjustment system to lift normal panels, raised moulded doors, and doors with light cutouts. The lift can pivot up to 10 degrees.